The tunnel, like the first three, has been booby-trapped by the IDF and anyone entering it on the Lebanese side risks his life. 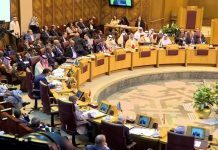 Last year the Waqf requested an increase from 600 to 670 agents, but then the Jordanian opposition parties demanded an increase to 800 agents and King Abdullah gave in. The terrorists are getting restless north of the border. Nearly 1.5 million Arabs are Israelis. Most are decent citizens, even if not Zionists. But more and more want to destroy Israel. For the first time, an Israeli Arab allegedly joined Syrian jihadists. Prince Bandar said that "ObamaDeal" will "wreak havoc Prime Minister Netanyahu the Middle East." A new ISIS/Da'esh video showing a massacre in Tikrit last summer does not change the fact that the terror group has been routed from the city. Red flags are waving for Turkey's Jewish community again. 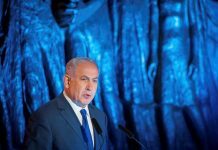 For the second time in a week, a high-ranking official targeted Jews in a speech. Brooklyn synagogues raise security after a suspicious incident on Sabbath in the Midwood section. It is one thing to rub salt in a wound, and it’s another to wipe the murderer's blood on the victim’s coffin, but that is what an official Saudi site did to mark the anniversary of 9/11’ carried out by Saudi terrorists. "If these weapons fall into the wrong hands, it will be a game changer for us." A Negev Bedouin high school teacher gets 4 years in prison for planning to join Da'esh (ISIS). "No continent, no country is safe from terrorism. We must stand against them together, to build a solid wall of the civilized world against the flood of radicalism." The families are also asking Jordan to allow the FBI to reinterview M’aarek Abu Tayeh "to see if he is ready to acknowledge why he chose to kill our sons." Tunisian national Anis Amri is being sought by Berlin police in connection with the terror attack that left 12 dead and 48 wounded. The PA and Hamas warned Trump that relocating the US embassy to Jerusalem would lead to the "complete destruction of the peace process." Obama has chosen shaky ally on the way out over strong ally solidly in the American orbit. Turkey's new envoy to Israel officially presented his credentials to President Rivlin in Jerusalem. 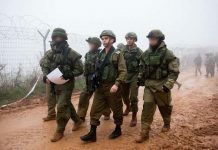 The recent Israeli air strikes on Syria – which have neither been confirmed nor denied by Israeli officials – targeted weapons depots allegedly storing Iranian-made weapons intended for the Lebanese terrorist organization Hizbullah. 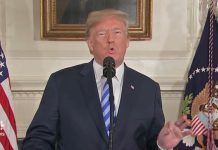 The president will reportedly tells its Arab allies the United States "and the entire civilized world expects our Muslim allies to take a strong stance against radical Islamist ideology." Iran must cease its support for terrorists, extremists, and regional proxies, such as Hezbollah, Hamas, the Taliban, and al-Qa’ida.